Contact Kris on 07908 799 729 now to see if he’s available or email him for details. You do not just get Crazy Kris in the show you get his mischievous friend from out of space turning up for birthdays! Crazy Kris is based in Warrington and provides a professional quality, value for money children’s entertainment in the Northwest of the UK. Crazy Kris is a proud member of “The Manchester Circle Of Magicians“. He has endless energy and loves to entertain everyone. He is also a member of Equity. 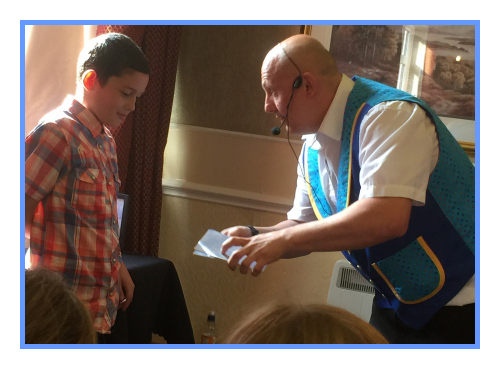 Kris started his magic interested over 10 years ago when he was living in Manchester when a work colleague showed him some simple routines when out on a Christmas party. After that he was hooked and practiced every day with out fail. 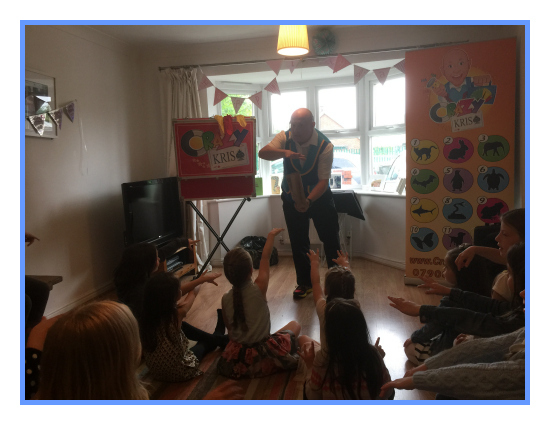 He performed close up magic for adults at first for friends and family. Then before long people wanted ‘Magic Kris’ at there wedding or there special event. Friday, Saturday and Sunday. Crazy Kris does performs magic for a living and not just does it part time at weekends to earn an extra income. As a male entertainer, Crazy Kris offers a completely safe service, which gives parents peace of mind. However, if you‘re wondering about CRB, there is no such thing as CRB anymore! A new law has come into effect for people who work with children and vulnerable adults; it is now a DBS check. 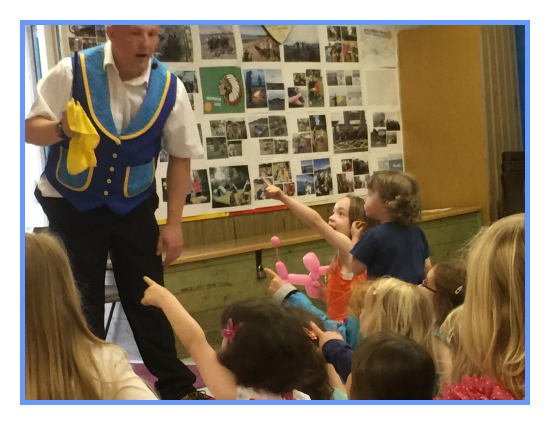 Children’s Entertainers are not required to have a DBS check as we are not alone with children, unless we work regularly with the same children (every month). Not my rules! This is from the government please see this PDF file for more in depth explanation. You can also find the latest information here. Kris is has also has Public liability and protected by Equity. I am unable to get a check done on myself but feel reassured that if you want to do your own DBS check on me to work regularly with children, I will happily oblige and give you all the details that you will need to complete the check. I have in the past have had a DBS by Cubs, Scouts, Brownies & Girl Guiding for their events. A big thankyou to “Lollipop” she was amazing! Crazy Kris is different from mosty childrens entertainers as he is a also a professional ventriloquist which outshines his competition. He is constantly adding new characters to the show with different personalities and comedy routines. 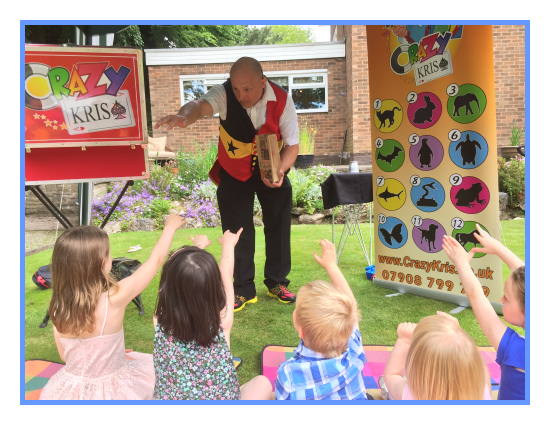 Kris AKA ‘Crazy Kris’ specialises in children’s birthday parties, christenings, school entertainment, fêtes, festivals and corporate events all around the Northwest. Crazy Kris always takes the time to invite the special birthday child, to assist him with the magic. And entices all the children to become involved with the other acts and creates a super ambience. This ensures that all of the children feel part of the show. With over 10 years of magical experience in the business of fun. 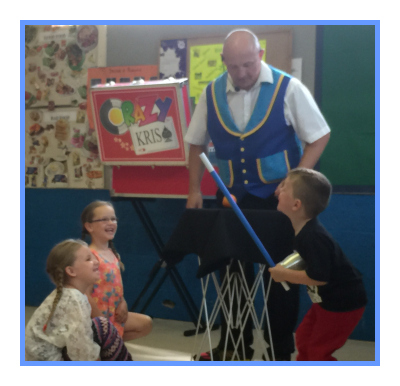 Crazy Kris will wow your children with great magic, lots of big laughsand a Crazy time! Crazy Kris will offer a free consultation service to support your individual planning of your child’s special magical experience and will tailor it to your precise requirements. If you are hosting a larger event, Crazy Kris will arrive with his own PA system, so you that everyone will be able to hear what’s going on. When booking the party games packages all prizes,sweets and toys are completely free! Yes FREE! For all your children’s parties or entertainment requirements make sure you call Crazy Kris to have a crazy time regardless of age. Thanks for keeping the whole school entertained on there reward day, They loved the workshop and still talking about it and want to do it again! It was brilliant and we are looking forward to seeing you again in the future. I hope you find the website useful and all the informative you need for your entertainment needs. If in doubt please give Crazy Kris a call or email and I will do my reply ASAP, I guarantee to give your child a day to remember at competitive rates. If you would like another time slot please email or telephone to see what he can do for you.